The April Fools Party has begun on Vintage Penguin with lots of creative items and cool rooms, as well as there being an Easter Egg Hunt! This post will provide a full walkthrough to both these activities. Rookie is also visiting the island with a new background! You can find a tracker for him here. As part of this party is an Easter Egg Hunt, with eight eggs hidden across the island. Once you’ve found the location, simply click the egg! After finding all of them, you receive the Pink Bunny Ears. 1st egg: This egg is located behind a box which is floating at the Box Dimension. It can be accessed by walking into the portal at the Ski Hill. 2nd egg: In order to obtain this egg, you’ll need to head to the Dojo. To do this, open your map and click the area where the mountains are. You’ll then need to click the pencil which is located on the floor of the Dojo. The second egg will now be drawn on the walls of the Dojo for you to click and obtain! 3rd egg: This is located on the speaker in the Night Club. 4th egg: This is located in the top right corner of the Forest behind a rock. 5th egg: This is located behind the oven in the Pizza Parlour. 6th egg: This egg is located around the counter at the Coffee Shop. 7th egg: This is located at the Beach in the water and next to the red ball. 8th egg: This is located at the Dock. Firstly, you need to click the “NO” sign next to the Hydro Hopper. The egg will then appear. You can now click the easter egg icon on the top right of your screen and then click “Claim Prize” in order to receive some Pink Bunny Ears! 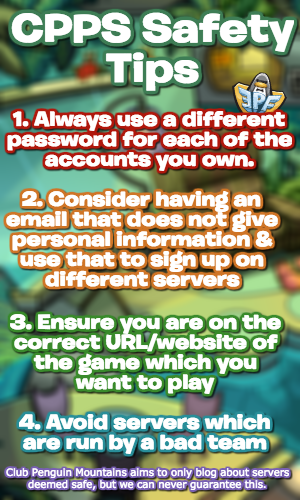 Across the island are loads of wacky decorations, but the first thing you’ll notice is that you’re a green puffle! Along with this, there are also plenty of items to collect. The Blue Propeller Cap is located at the Town. The Green Bunny Ears are located at the Plaza. The Funny Face Glasses are located at the Beach. 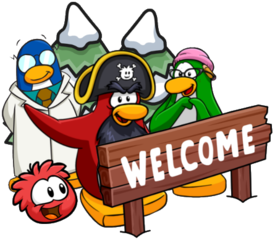 The Red Propeller Cap is located at the Ski Village. The last free item, the Swirly Glasses, are located at the Cove. There are a few more exclusive items which you can obtain! If you head to the Ski Hill, you will find a portal to the Box Dimension. From there, you can access the Box Store and by clicking the icon on the bottom right corner, you will be able to select four furniture items. Lastly, at the Mine, if you join all the dots together in order (eg. 1 to 2, 2 to 3, 3 to 4 etc. ), you will be able to receive the Crayon Pin! Rookie is also visiting the island with a new background! You can use the Rookie tracker for an increased chance of meeting him, but this is how the background looks like. That concludes the guide to this really cool party! Thank you very much for reading, I hope that it helped! Be sure to check back for more of the latest Vintage Penguin news and guides!